The Himalayan 20 oz Tumbler is an insulated double-wall tumbler with stainless seteel inner and outer walls. 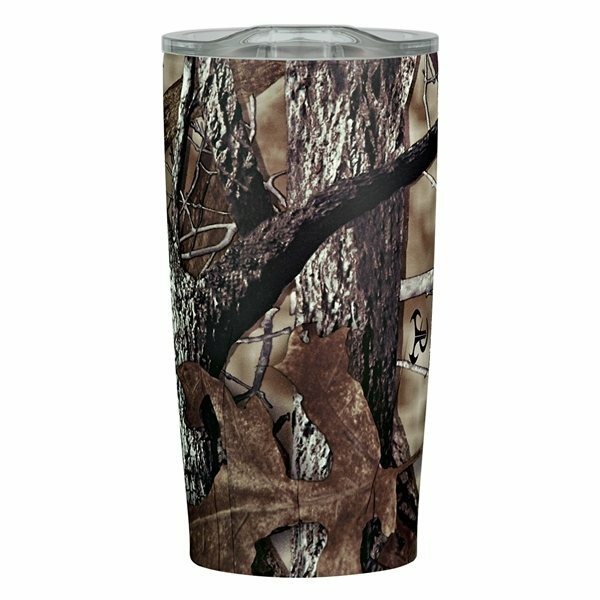 Available in a wide variety of colors with a clear or charcoal lid. 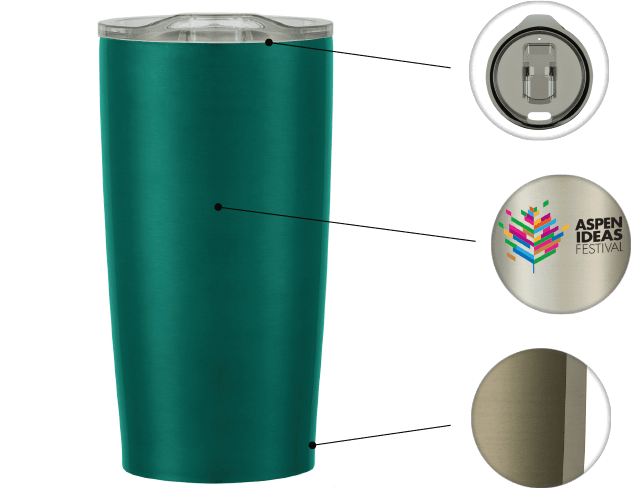 Customizable with Screen Printing on an imprint area of 2 1/2" x 2" or 5" x 2" wrap, Laser Engraving on an area of 2" x 3 1/2", 4 color process printing on an imprint area of 2" x 3 1/2". 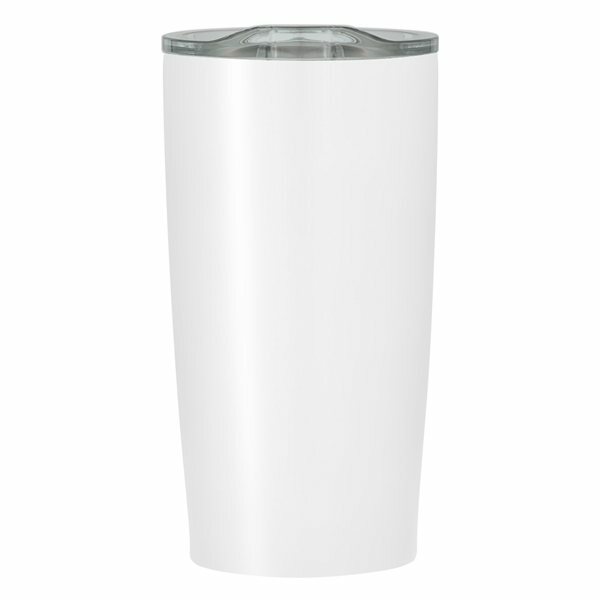 The Himalayan Doublewall Tumbler is a customer-voted "Top 100" product because it offers excellent performance at a great value. This vacuum sealed tumbler is not only BPA free, but can keep drinks hot or cold for up to 6 hours. 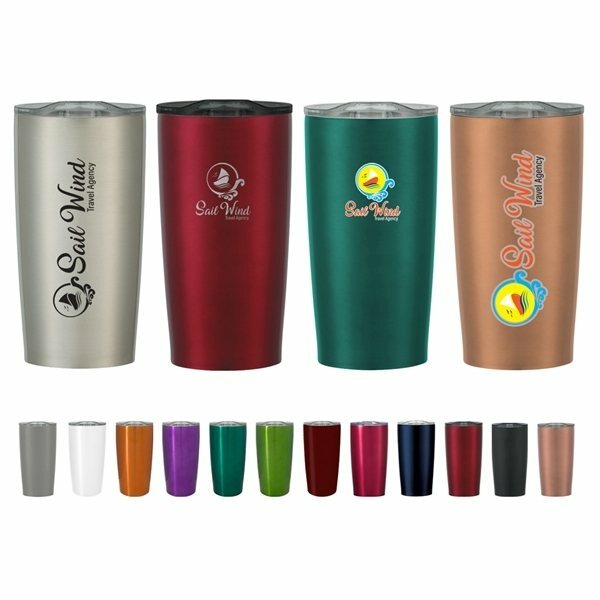 The conveniently thumb-slide allows you to drink from this tumbler with the lid on and snaps back into place to prevent spills. If you're looking for a high quality piece of drink-ware to represent your brand, this is the tumbler for you. Due To Vacuum Insulation Technology, Capacity Is 18 Oz With Lid On. 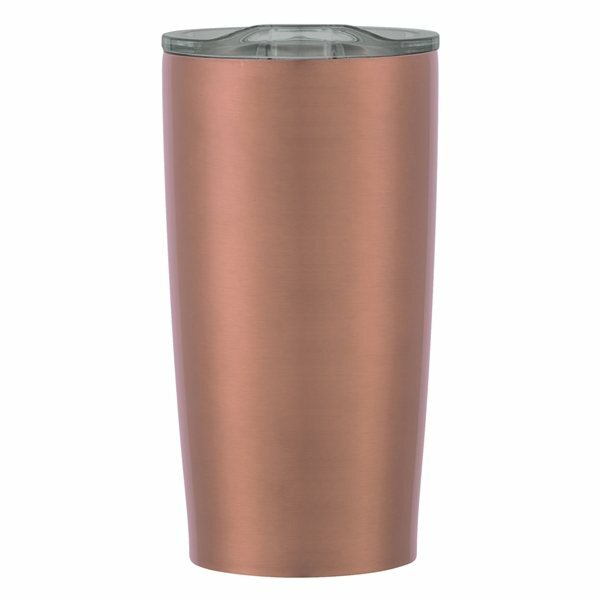 The Himalayan tumbler keeps drinks piping hot or freezing cold for up to 6 hours. 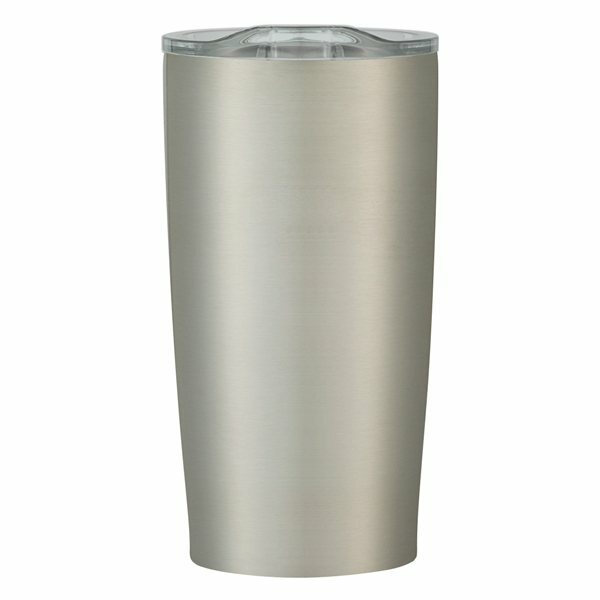 Our FDA approved stainless steel drinkware is free of BPA and other harmful chemicals often found in plastic drinkware. Need custom vacuum tumblers in time for an upcoming event? We’ve got you covered with free rush production. These tumblers are so light weight I love them. I have ordered hundreds and will continue to do so!! LOVE them.....will be ordering again...only positive feedback from people using them!